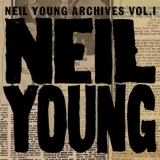 Decade (compilation) (1977), Neil Young (1968), Sugar Mountain - Live At Canterbury House 1968 (2008), The Archives Vol. 1 1963-1972 (this album) (compilation) (2009), Live Rust (1979), Live In San Francisco (2007). Neil Young Solo Debut US Reprise RS 6317 The Loner I’ve Been Waiting For You NM!